Copping limited Nikes just got a lot easier. In an ongoing effort to combat bots, it looks like Nike will be switching to in-store pickups for its most limited releases. Starting at Nike Chicago this Thursday, Nike will implement a new raffle system that will allow customers to lock down their pairs ahead of time. To get your pair, you&apos;ll need to follow the participating store and wait for them to Tweet a link to the raffle entry page. 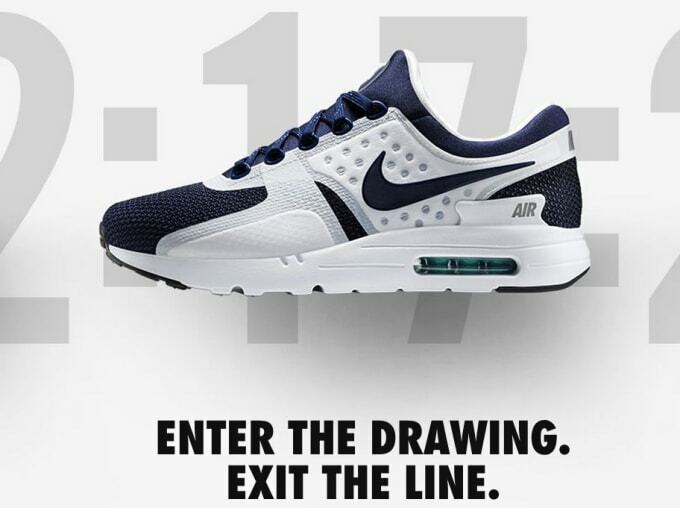 From there, you sign in with a verified Nike+ account, select your size, and enter the raffle. In the rules, Nike makes continued mention of how it wants its product to end up "in the hands of real consumers," and a number of steps are outlined to ensure this including the Nike+ text verification. We take feedback seriously at NIKE and are dedicated to piloting ways that helps get our products in the hands of real consumers.